Treehouse 3 sits in the trees of West Cork. 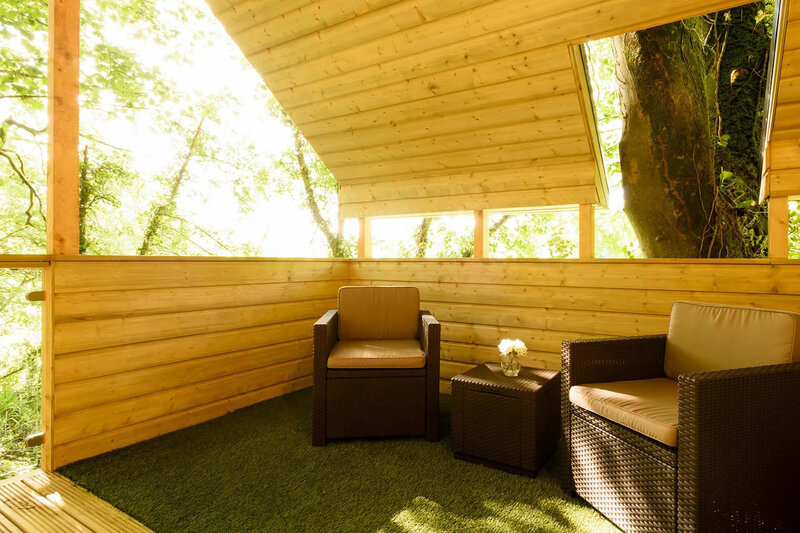 Nestled in the branches of spruce pines you’ll find a luxury place to stay. 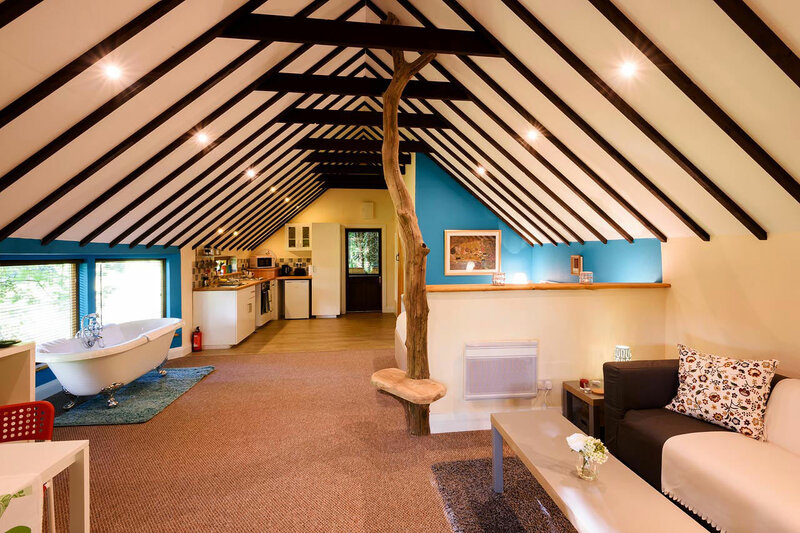 It’s quirky, it’s special and it’s a wonderful place to stay. 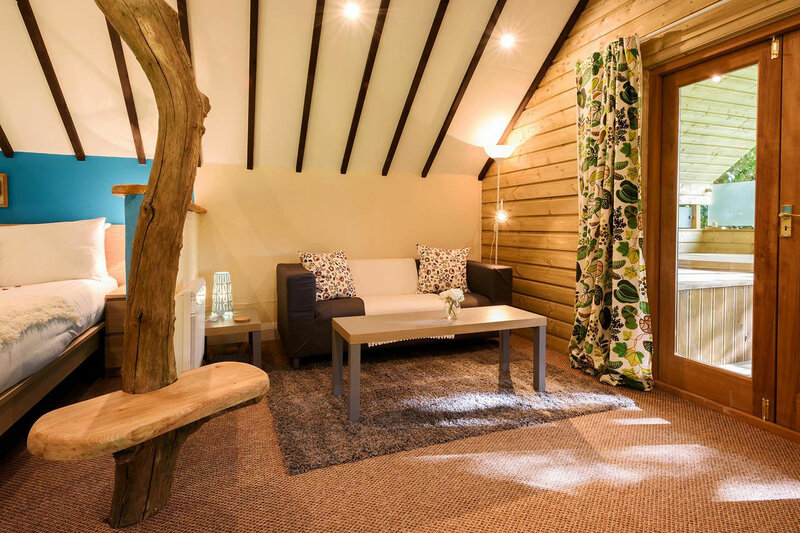 This is no ordinary self-catering cottage but an extraordinary, magical creation – and it’s completely eco-friendly. Located in the same wood as Treehouse 1 and 2, it is to the side of Grove House. 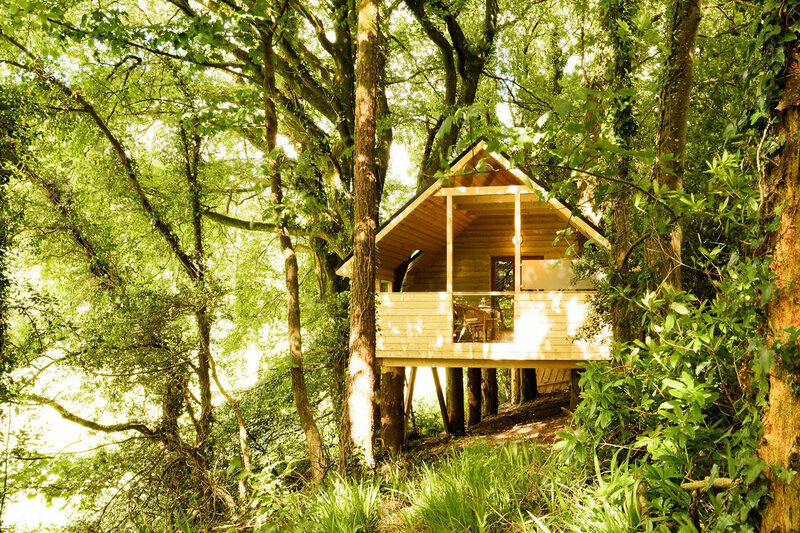 It is constructed 100% from sustainable materials so this treehouse leaves no carbon footprint but leaves a definite imprint on your experiences of special places to stay. Cross the footbridge that connects Treehouse 3 to terra firma and enter the treehouse up in the trees. Inside you’ll find luxury combined with nature. There’s a kitchen (oven, hob, fridge, sink and microwave). 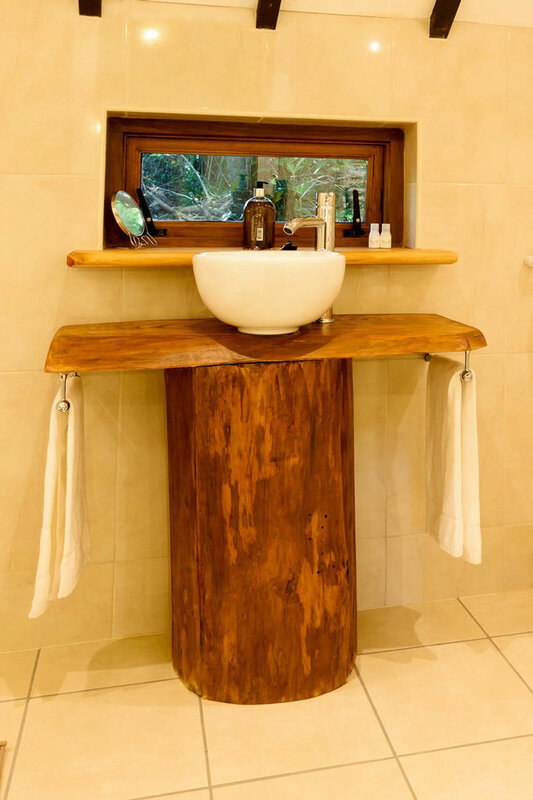 There’s a bathroom with quirky sink and a walk in shower. There’s a WC with flushing toilet. There’s constant hot-water and high efficiency electric radiators. The living, sleeping, dining area is all open plan. 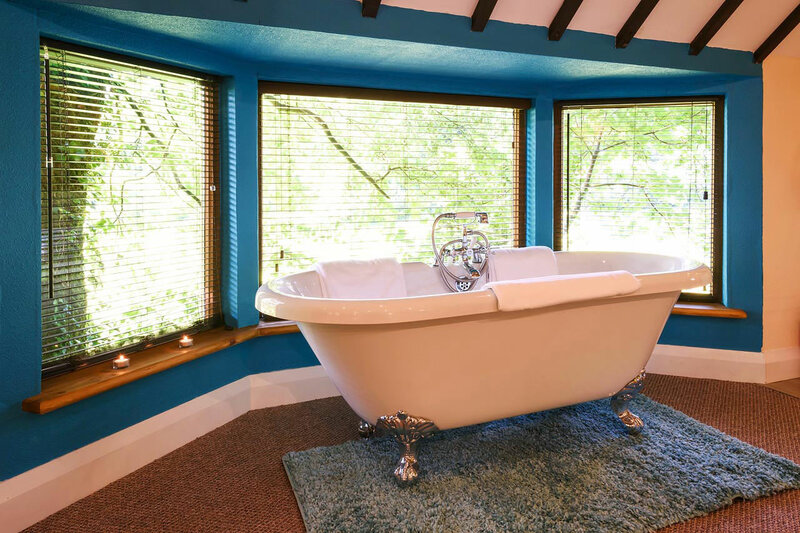 The king-size bed in the turquoise zone looks across to the roll-top bath and the lounge/diner is further on. There’s satellite TV, broadband and a bluetooth tower speaker. 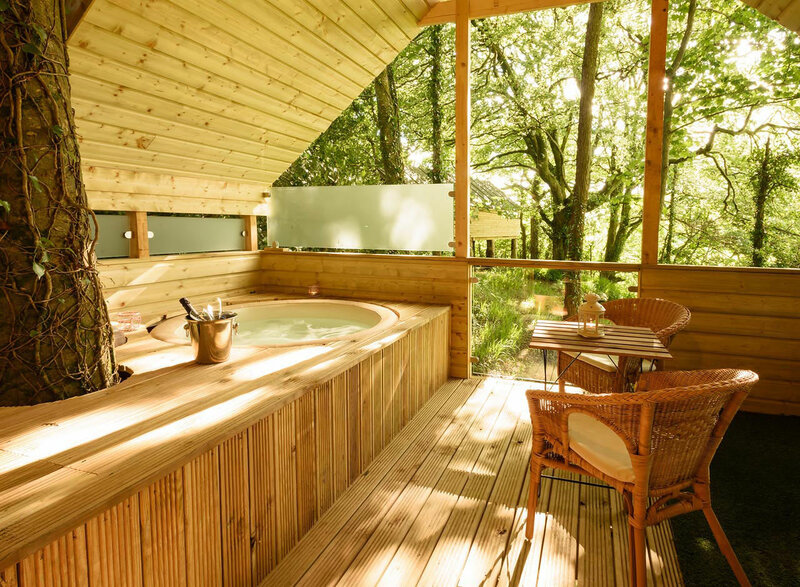 Through the French doors you walk on to a large deck overlooking the West Cork countryside. Here you’ll find your own, private two-person Canadian hot-tub, chairs and a table. You’ll be drawn to this area both day and night. It has a magical quality and there’s something wonderful about being up in the trees at one with nature. 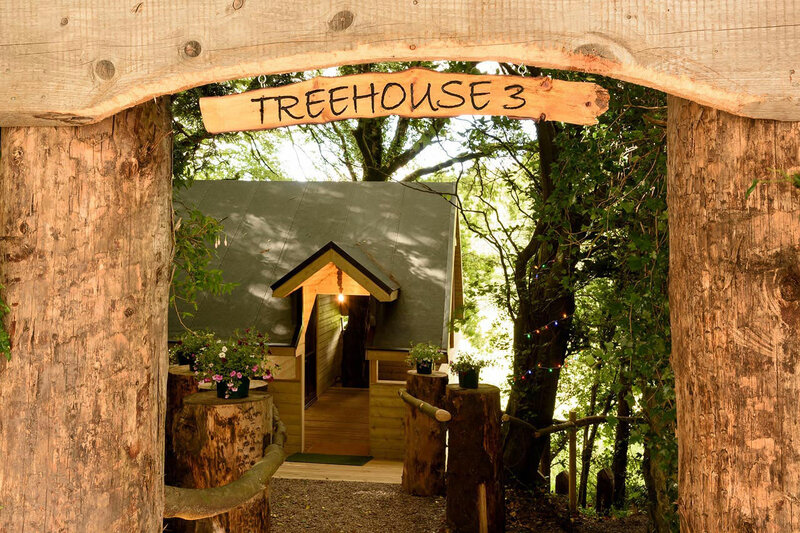 You’ll also find your own special ‘royal garden’ at the entrance to Treehouse 3. 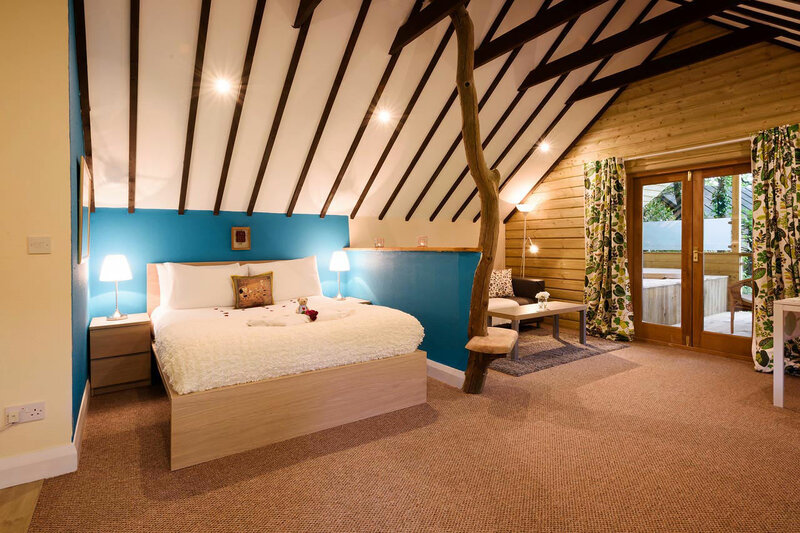 » Rates based on a minimum 2 night stay for two people sharing. There is a 2 night minimum stay at all times – however – one night stays are sometimes available. Please call to check. 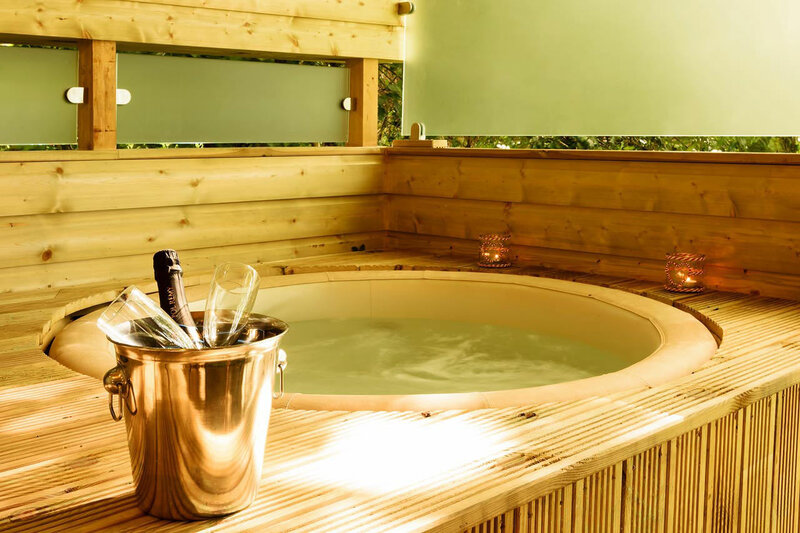 » One night stays are subject to availability at the discretion of Cottages for Couples (supplement of €30 for one night stays where possible).